La tua oasi, al centro della città! 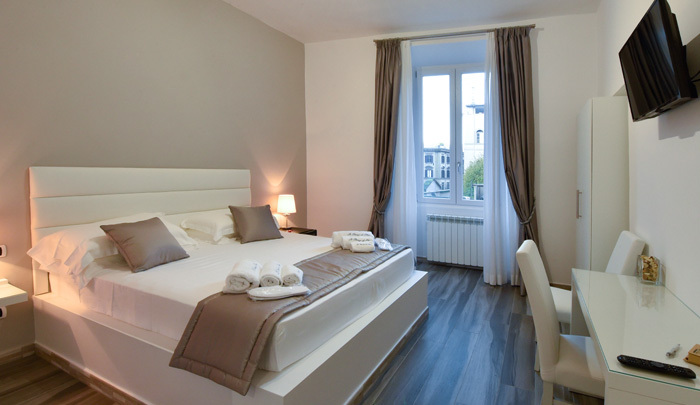 An elegant and modern Guest House in the heart of Rome offering all services equivalent to a luxurious hotel. We are situated in a convenient location just a stone’s throw away from all the main sights of the Eternal City as well as the best shopping areas. 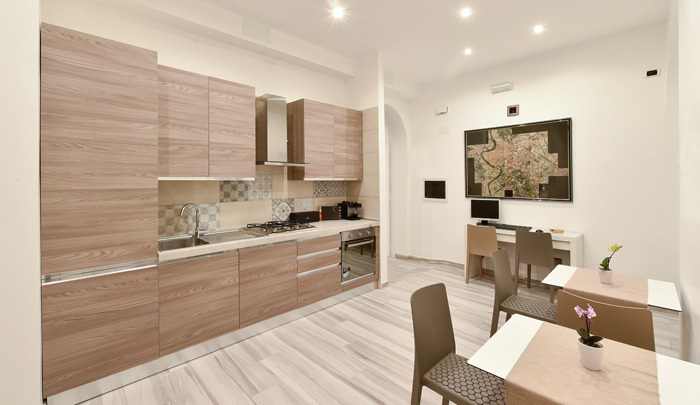 We are in the neighbourhood of Prati, on the second floor of an elegant nineteenth century building, two steps away from the Castel Sant’Angelo and the Saint Peter’s Basilica. Nearby you will also find the metro A stop Lepanto. Le stanze di Elisa will be pleased to welcome you in their suites, simply and elegantly styled in an all white decor. We have thought of every detail to make your stay comfortable in our boutique hotel; whether you are in Rome on a romantic break or on business. Did you decide to stay in Rome? Check that chosen property is ruly registered in the municipal website.